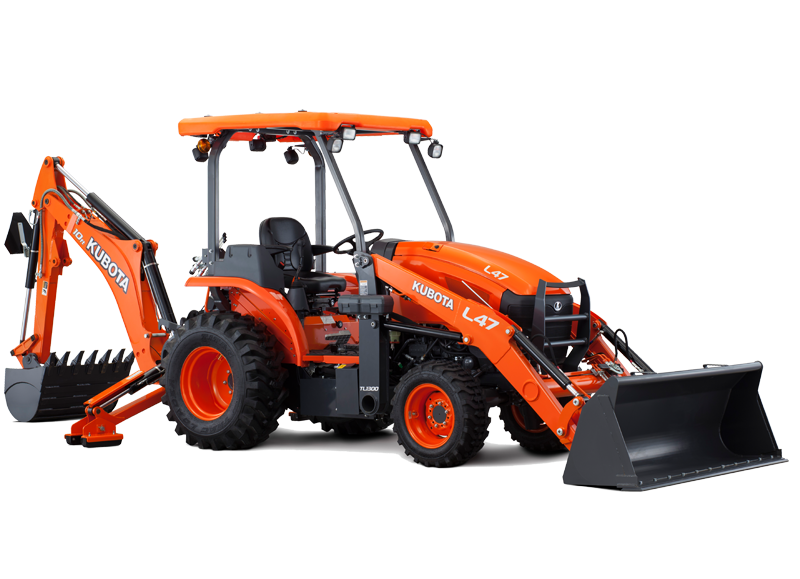 Kubota’s KX018-4 is one of the company’s most versatile compact offerings, raising the standard in the 1-2 ton class. 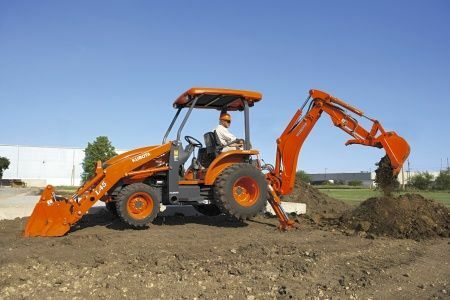 The KX018-4 is powered by a Kubota D902 17 gross horsepower engine that meets the latest engine emission regulations without the extra emissions equipment. Performance meets comfort with improved digging force and ultra-wide working range. 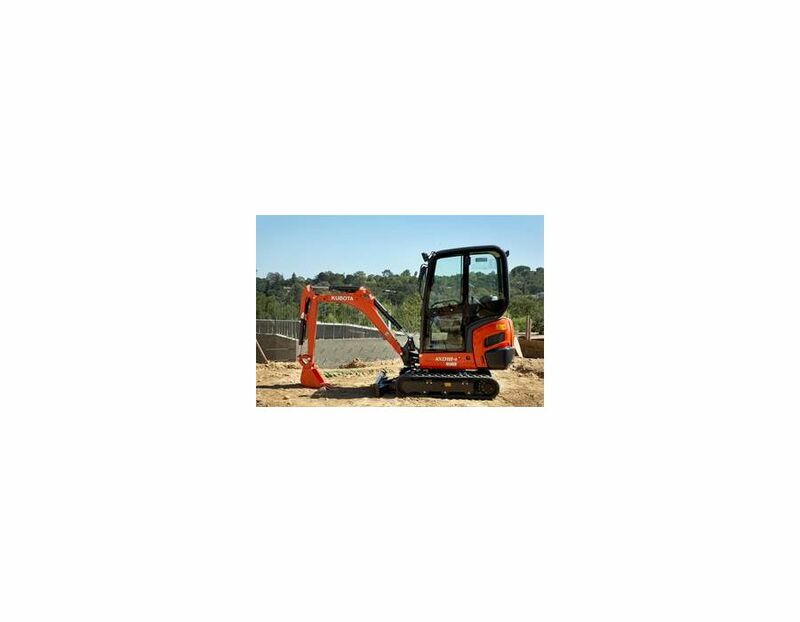 This new compact excavator features a long tumbler distance and wide variable track for increased stability and lifting capacity, a variable track gauge and auto down shift travel motor for smooth operation. The interior offers ample legroom, an adjustable seat, and a new multi-functional digital panel positioned for better visibility. 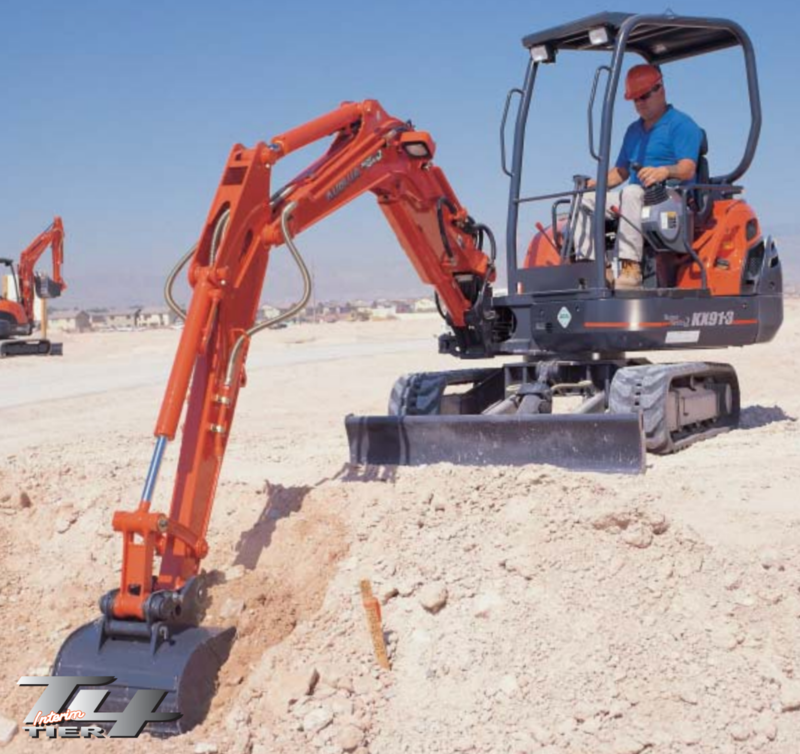 The KX018-4 features a dumping height and digging depth of 7 feet 9.7 inches. 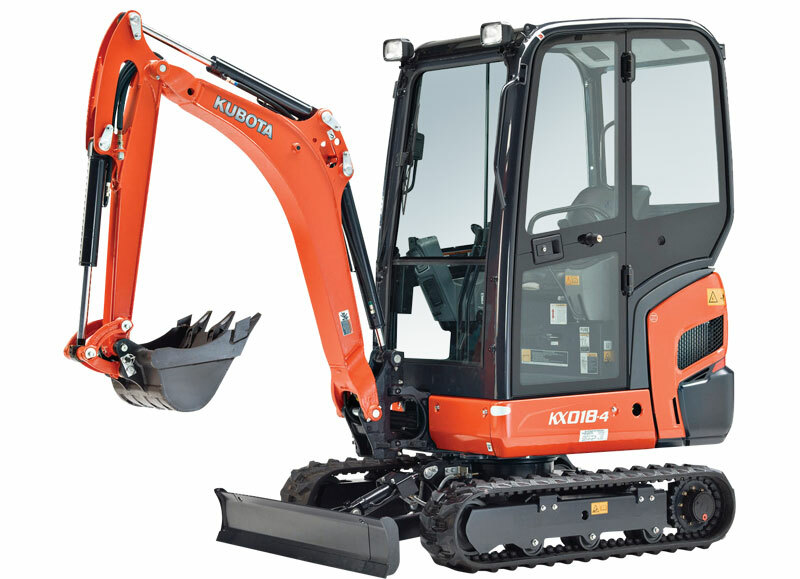 Kubota’s KX018-4’s versatility spans from construction, to roadsides, to residential projections. Variable Track Width - Kubota’s unique undercarriage features an increased track length and width to give it excellent stability. The variable track enables easy access through 40-inch tight working areas. And with just the switch of the dozer lever, you get track expansion for improved balance when traveling or trenching. Stability & Lifting - The KX018-4’s superior stability is due to its long tumbler distance and wide variable track width. 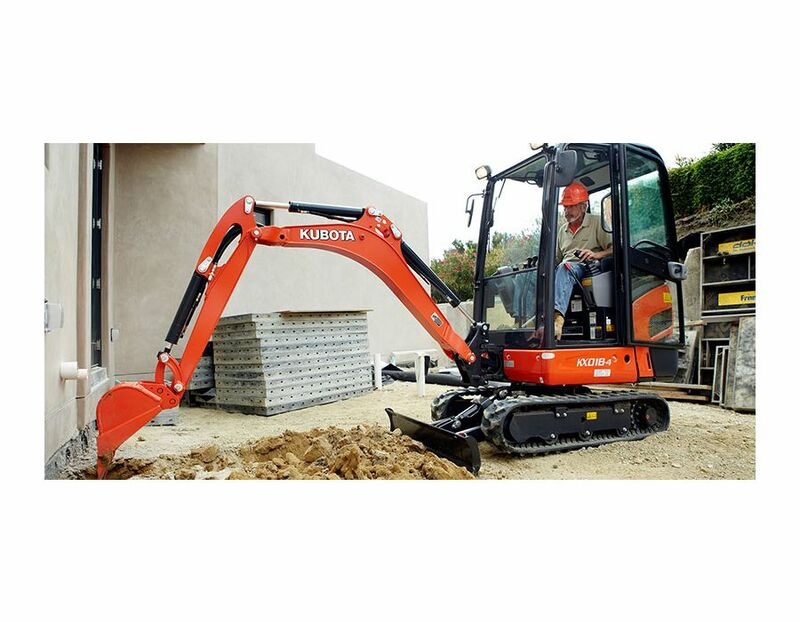 It enables you to safely perform jobs using a host of Kubota attachments. 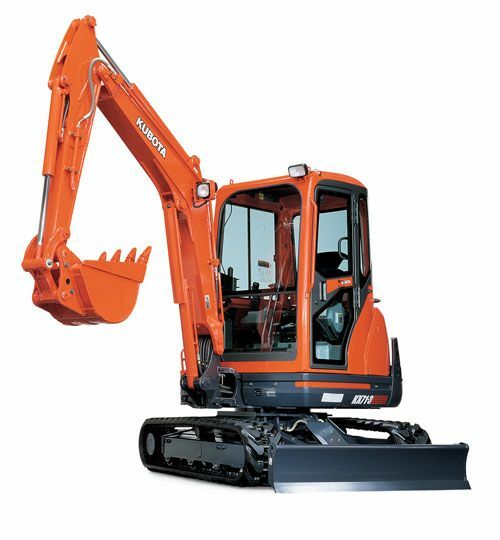 And Kubota’s unique hydraulic system, together with a powerful boom cylinder, delivers the lifting power you need to broaden your range of lifting jobs. Combined, you get an advanced hydraulic system that automatically regulates and distributes the optimum amount of oil to each cylinder, based on the weight of the load for smooth, responsive and stable lifting ability. 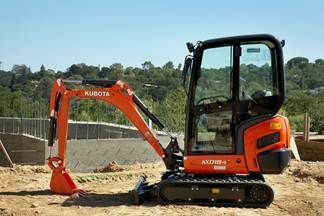 Protected Hoses & Cylinders - Work worry-free, because Kubota has you covered. The boom cylinder is located on the topside of the boom to protect against damage. And for added protection, the boom cylinder, arm cylinder, bucket cylinder and auxiliary hydraulic hoses have been installed inside the boom. You get a longer service life, reduced repair costs, less down time and greater operator visibility. 2-Speed Travel Switch - Because the 2-speed travel switch is on the dozer control lever, you’ll enjoy ample foot room, as well as dozeroperating convenience when changing travel speeds. Easy Access to Components - Easy access is provided to the excavator’s engine components for quick and trouble-free daily maintenance. Simply open the rear & side cover panel to conveniently service vital points such as the engine oil fill & filter, coolant, air filter, fuel filter and radiator. New Spacious Cab - Designed for greater comfort, the new large cab with a fully flat floor provides more legroom to minimize fatigue. Fully Flat Floor - For added comfort, the cab floor is completely flat for greater legroom and a more spacious feel. Easy Open Front Window - Unlike many excavator windows, the front glass window of the KX018-4 opens with ease. Just flip the latches on the window sides and slide it up. A gas-assist mechanism makes this action almost effortless. New Digital Panel - Following the success and popularity of Kubota’s Intelligent Control System, the new digital panel puts convenience at the operator’s fingertips. The user-friendly digital panel is positioned to the front right corner of the operator for better visibility, and features one-touch button operation to view the time, hour meter and tachometer. Warning lamps with code numbers on the display will alert you to emergencies such as overheating, hydraulic problems or low battery. 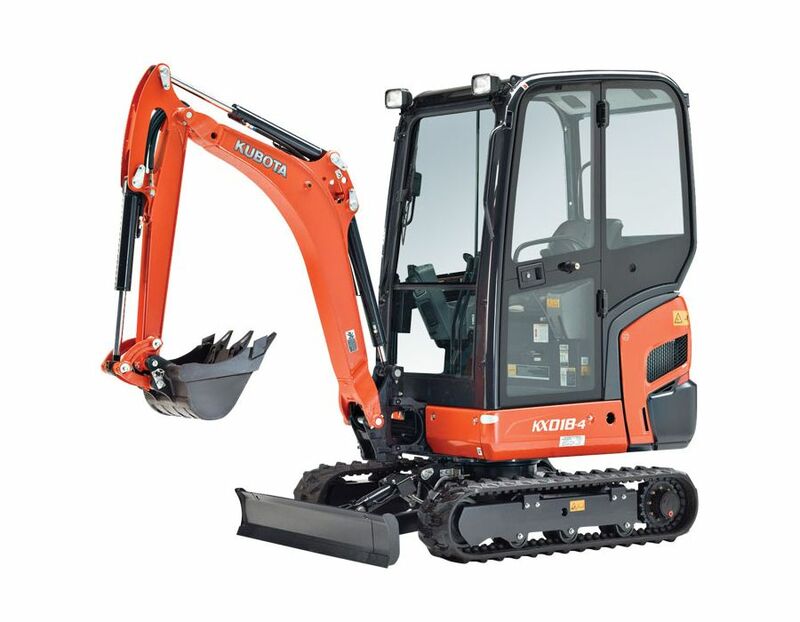 The Kubota KX018-4 Excavator 1-2 Ton is available at Kooy Brothers Equipment Ltd. located at 1919 Wilson Avenue in Toronto, Ontario.